I'm glad I back tracked and crossed back over the road after seeing Pavel making his way further along the path by the river I normally take to get to work. 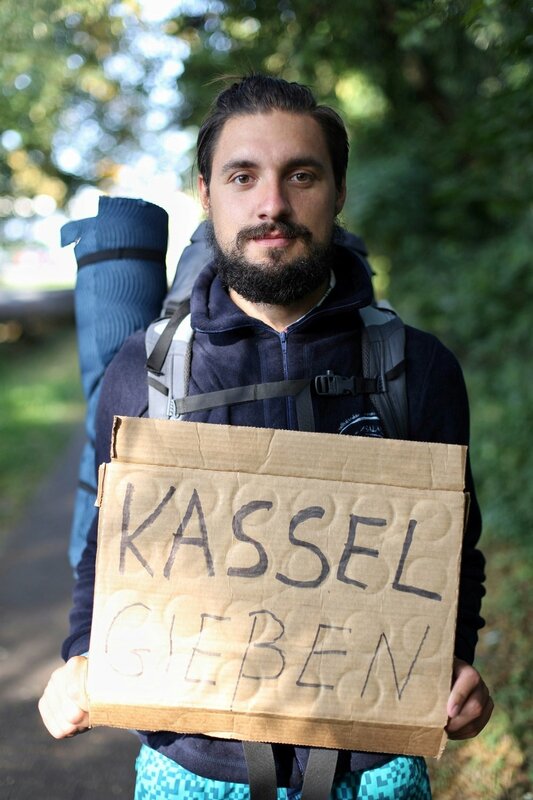 It turns out Pavel spent 2 months hitchhiking around Spain and was just on his way back to Poland. I am a bit jealous of his courage and freedom and the experiences he must've gained from the trip. Hope you made it back safe!